Collaborative Economics is conducting annual state sector/cluster strategy academies for regional teams across the state of Arizona. As part of the academy, COECON created regional dashboards for the teams, which includes quantitative data on employment, occupations, and establishments by industry sectors. Regional teams have used these dashboards to determine priorities for cluster engagement and mobilization. COECON also provides hands-on technical assistance to regional teams to identify and mobilize employers, creating sector/cluster action plans. 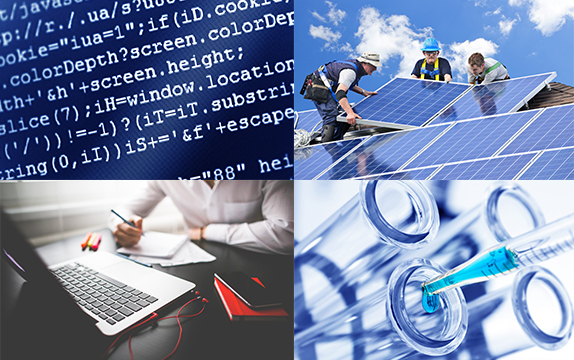 In addition, the state has created a Sector Strategies Committee of the State Workforce Investment Board, and COECON is now providing strategic advice to the body as they determine a statewide strategy for encouraging regional sector/cluster initiatives. 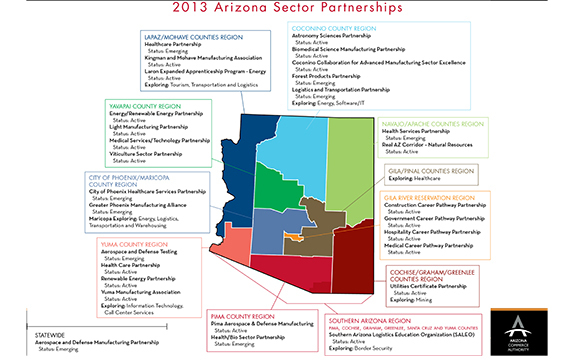 As a result of Collaborative Economics’ involvement, the Arizona State Workforce Investment Board has adopted sector strategies as its recommended approach in its state plan. More than 10 regional industry sector strategies have been launched since 2010, with additional ones in the planning stages. Existing sector strategies have been successful in securing public and private resources for workforce development, infrastructure improvements, and business-to-business collaboration around other priorities (e.g., collaborating on transporting products to reduce logistics costs).